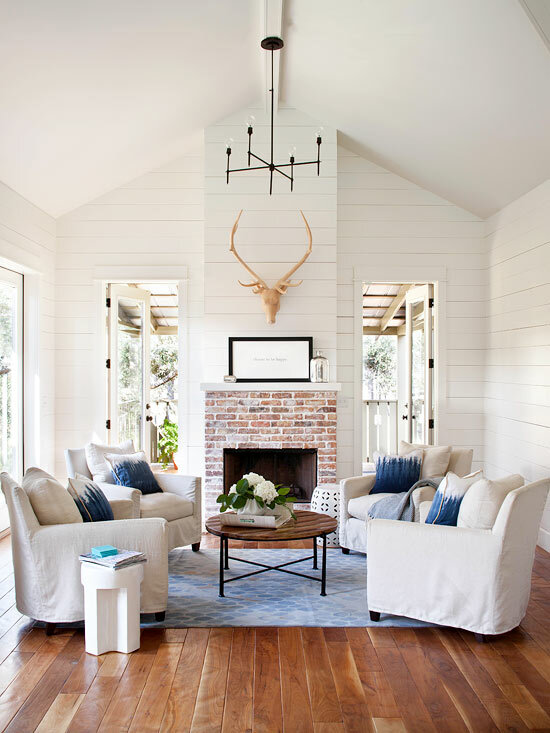 Mix and Chic: Easy ideas to add charm and interest to your home! Easy ideas to add charm and interest to your home! 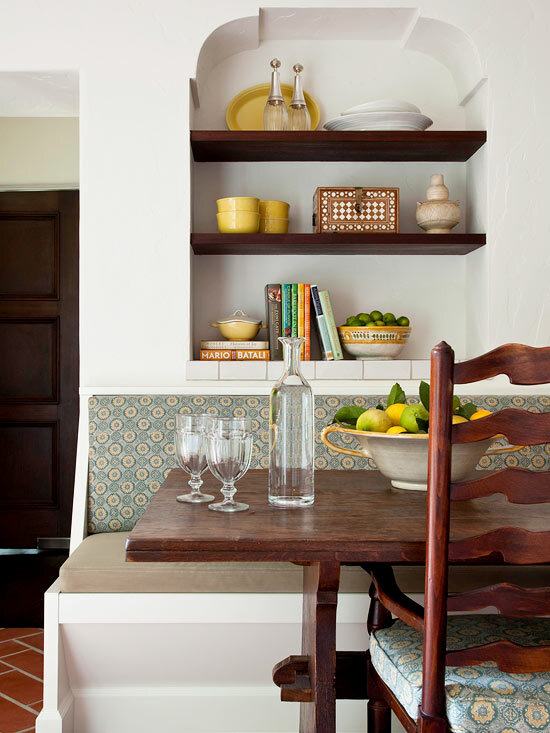 Not only a banquette seating in a breakfast nook makes a cozy dining area, it offers plenty of seating too. A seating and storage unit in the foyer are practical for putting shoes on/ taking shoes off and storing those extra shoes. Creating a display area in a room is an easy and charming way to showcase your collectibles. 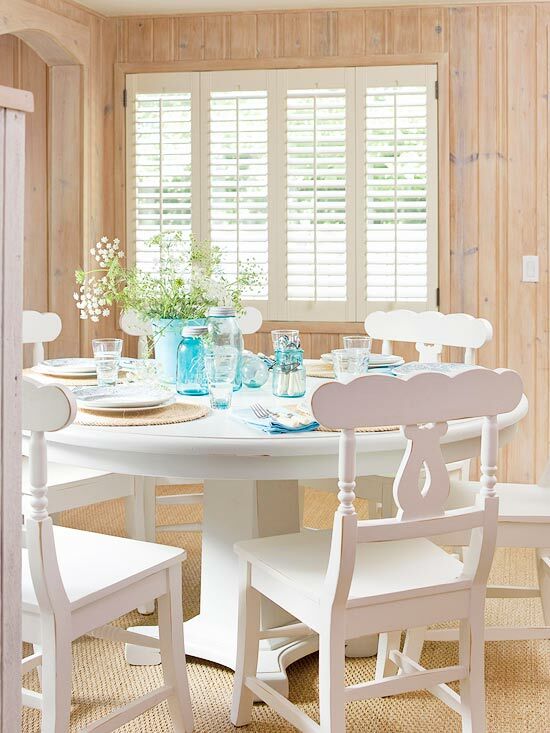 Wood shutters or traditional shutters add a casual, rustic appeal to any room. Wall paneling adds beauty, warmth and personality and significantly transform a room. 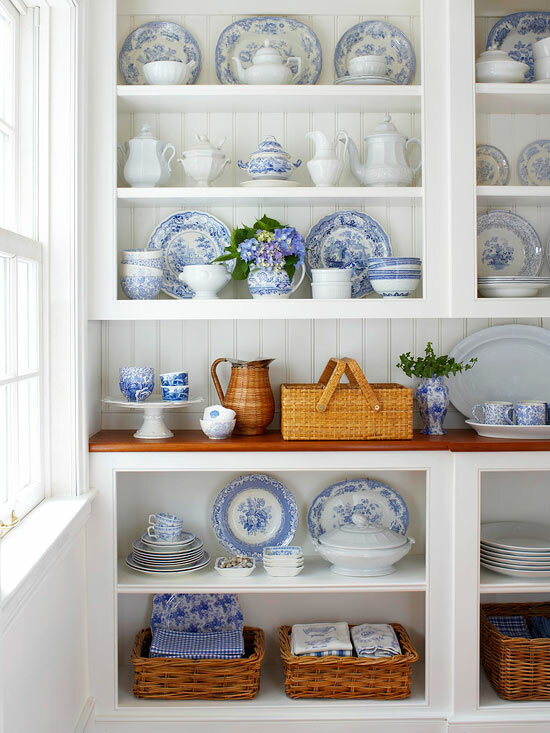 Not only a recessed niche adds depth to a space, it makes a wonderful display for your favorite objects. How do you add charm and interest to your own home? Great post Jessie! I'm dying to add an antique settee with a fresh fun fabric to my entrance hall for some seating there! I have a very, very large liquor cabinet which makes me and any visitor vastly more charming and interesting. Great ideas! 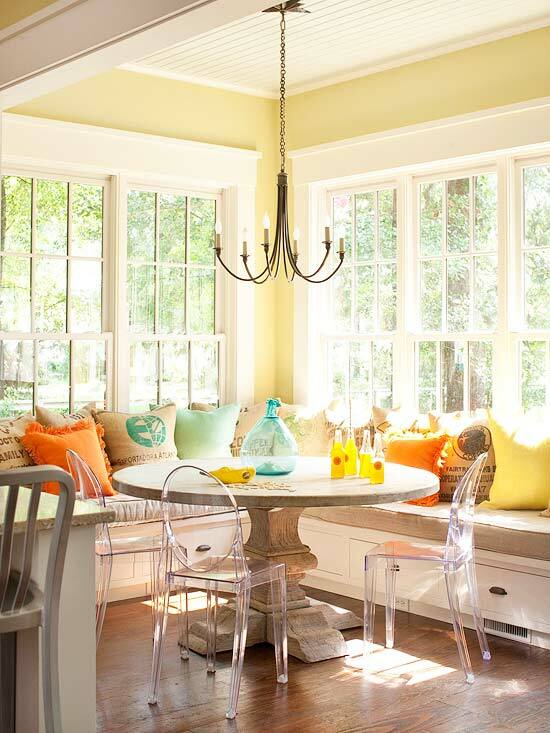 Love that breakfast nook and entryway! Saving those for inspiration in my next home. ok. that mudroom is my new favorite. it's perfection and so functional. bravo on another inspiring post, jessie! Brilliant! Every corner of this house screams of my dream house. Got my eye on your next posts. I love the paneling. ANd the banquets. I love these ideas Jessie! I would looove to add built-in seating to our house! Hopefully in the next one we'll be able to. I love the wall niche with the shelves built in. So many new construction homes have those and they can be so tricky to know what to do with. But this idea is great- with the small shelves added inside it would be so much easier to decorate and use. Pinned that idea! !